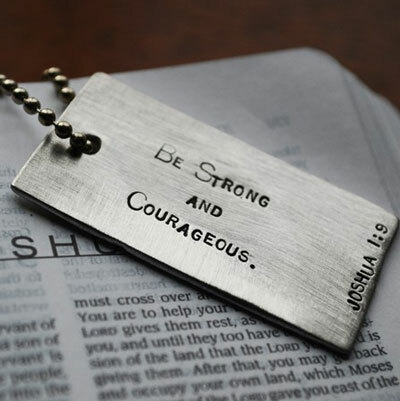 Be strong and courageous Dog Tag. Isn't that the perfect message to give to anyone? 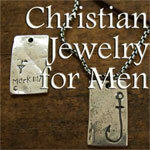 Pewter Dog Tag or Dog Tag Key Chain. Dog Tag measures 2" x 1" on 24" nickle plated steel ball chain.